Other Trump administration officials have come under fire for their lack of fiscally responsible flying. Officials are reviewing travel expenses for Treasury Secretary Steve Mnuchin, who used an Air Force jet to visit Kentucky in August and later requested a military flight for his honeymoon (allegedly for security reasons); and for EPA Administrator Scott Pruitt, who has spent a considerable amount of money on commercial flights to his home in Oklahoma. This week on HIStalk Practice: KeyCare will implement I2I Population Health’s PHM technology across 16 community health centers. HRSA earmarks $200 million to help health centers expand mental health and substance abuse services. Bend Medical Clinic hopes to climb out of EHR-related financial troubles with help from Summit Health. Providers react to Jonathan Bush’s burning question. VillageMD launches in Georgia. CMS Innovation Center pursues new direction. Physician burnout becomes a vicious cycle. PRM Pro Jim Higgins emphasizes communication preferences in improving patient retention. Last call: HIStalk sponsors, submit your MGMA details for inclusion in our annual must-see vendor’s guide over at HIStalk Practice. Companies that are walking the show floor instead of exhibiting are also welcome to submit their information. The guide will publish the week of October 2. Video interpretation and telemedicine company Stratus Video opens a Center of Excellence in Dallas. The company expects to hire 200 employees from the area within the year. Moffitt Cancer Center’s (FL) informatics subsidiary, M2Gen, will use an undisclosed amount of equity investment from Hearst to expand its cancer research efforts and data-sharing network. 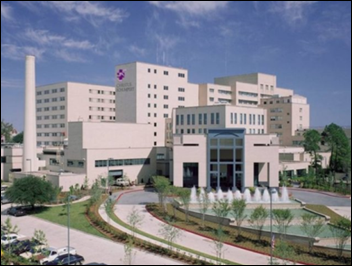 Christus Health system (TX) selects Influence Health’s CRM software. Biomedical informaticist Neil Sarkar (Brown University) takes the editorial helm of AMIA’s new JAMIA Open publication. PeraHealth names LeAnne Hester (Premier) chief commercial officer. Great Lakes Health Connect Executive Director Doug Dietzman will also lead Making Choices Michigan, a nonprofit focused on advance care planning that became a wholly owned subsidiary of GLHC earlier this month. 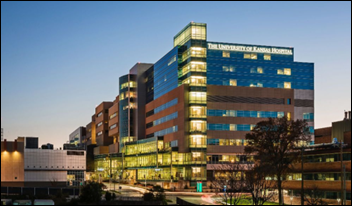 University of Kansas Health System rolls out speech-recognition software and EHR services from Nuance. 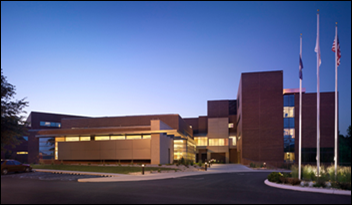 Baptist Health Corbin (KY) implements tele-ICU services from Advanced ICU Care. Intelligent Contacts develops a service that helps hospital collections staff bypass lengthy hold times when trying to get in touch with payers. Providers can now access Doximity Dialer from within Epic’s Haiku mobile app. Dialer gives users the ability to call patients from their smart phones with one touch, while guarding the privacy of their personal phone numbers. Amazon looks to give recently revitalized Google Glass a run for its money with Alexa-enabled smart glasses, the company’s first wearable. Users will be able to hear Alexa courtesy of a wireless bone-conduction audio system, and could wirelessly tether to a smartphone. Google Glass founder Babak Parviz joined Amazon in 2014. LiveData launches a cloud-based version of its PeriOp Manager technology. National Decision Support Co. works with Mayo Clinic (MN) to develop a real-time decision-support tool for laboratory testing available within the EHR via the company’s CareSelect software. ClinicTracker end users gain lab connectivity via EHR integration with Change Healthcare’s Clinical Network. 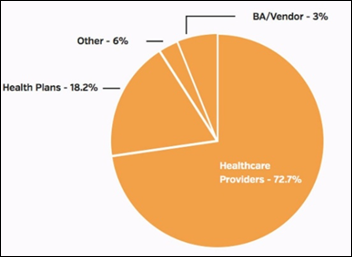 In its latest monthly update, Protenus reports that healthcare organizations experienced 31 breaches affecting 673,934 patient records – stats in keeping with the preceding seven months. Hackers were responsible for 55 percent of breaches, while insiders racked up 27 percent, pointing to a continued need for cybersecurity training. VA Interim Deputy Secretary Scott Blackburn will assume the role of acting CIO when Rob Thomas retires next month. Thomas took on the role in February after CIO LaVerne Council departed with the Obama administration. The CMS Innovation Center asks for stakeholder feedback as it considers a “new direction to promote patient-centered care and test market-driven reforms that empower beneficiaries as consumers, provide price transparency, increase choices and competition to drive quality, reduce costs, and improve outcomes.” CMS Administrator Seema Verma says in a Wall Street Journal op-ed that the agency will pivot its Innovation Center to offer providers new ways of delivering care, noting that value-based programs have resulted in market consolidation and reduced competition. Comments are due November 20. 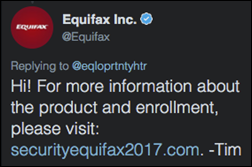 WNA shakes his head at the fact that Equifax linked to a fake customer support site that mocked the company’s breach follow-up for several days before realizing its mistake. The company’s Twitter account even got in on the action. Ars Technica reports that a security researcher developed the fake site to emphasize how easy it is to fool people into clicking on links and giving up personal details. EClinicalWorks will exhibit at the SFMGMA Annual Healthcare Symposium September 22 in Fort Lauderdale, FL. Evariant makes the Marcum Tech Top 40 list of fastest growing technology companies in Connecticut. Healthfinch, Imprivata, and Intelligent Medical Objects will exhibit at Epic UGM 2017 September 26-27 in Verona, WI. Healthgrades will sponsor and present at Denver Startup Week September 26-27. Consulting Magazine includes Impact Advisors on its list of best small firms to work for. Kyruus will exhibit at SHSMD Connections September 24-27 in Orlando. Inc. profiles NTT Data’s wearable technology relationship with IndyCar driver Tony Kanaan. Black Book’s 2017 report ranks ZirMed first for end-to-end RCM for the seventh consecutive year. Frost & Sullivan recognizes Sunquest Information Systems for its strides in precision medicine and patient-centered healthcare. Forward Health Group will host the Greater Madison Chamber of Commerce – HealthTech Capitol Views & Brews event September 24 in Madison, WI. RE: HHS Secretary Price’s recent travel and the comment that “using the travel arrangements we did was the best way to get him there.” Really? Does he not report to anyone? Who approves his travel expenses? They should BOTH be held accountable. No, this was not the best way to get him there, it was the cushiest. You can’t convince me there wasn’t a more economical means of flying to the NE area during this time period. This behavior demonstrates a TOTAL lack of respect for the American taxpayer and he should be required to repay the difference between taking a private jet (for his convenience) and the cost of economy airfare travel. This is why people distrust politicians. It’s really not that funny (or hypocritical as I suspect you’re trying to imply). First, if it were a similar story, waste by an HHS secretary is healthcare related news while waste by a president is not. Second, the proper way for a president to travel is by Air Force One. He really IS busy enough that he can’t afford to be out of commission for that long and has enough security that commercial travel isn’t possible. A reasonable argument could be made that this isn’t wasteful because Cabinet members have increasing responsibilities and workloads that necessitate more expensive but expedient travel. Or that this is somehow business as usual in government and therefore not evidence this administration is a particularly poor steward of our taxes in these areas. But you haven’t made that argument. Why would the tax payers have to charter a private jet for Secretary Price to go visit athenahealth? It smells bad in so many ways. And, why couldn’t athena at least pay for his travel expenses. Price says he will sell over 40 stocks if he becomes the HHS secretary, including Pfizer, Athena Health and, yes, Zimmer Biomet. He promises that he will not “participate personally and substantially in any particular matter in which I know that I have a financial interest.” Suddenly, it seems, he has awoken to the conflict those stocks pose. Better late than never, I suppose. Athenahealth actually *own* their own private plane, so I’m pretty sure they could have come and picked him up somewhere. Having lived for a number of years in the DC area during the Reagan, Bush1, Clinton & Bush2 administrations, I had 3 cabinet secretaries as neighbors. I know first hand that they flew commercially, often sharing rides to Dulles or Reagan airports with them. I recall standing in line at the airline ticket counter for what seemed liked eons with a Sec of Defense, and another time waiting for luggage with the Sec of State. As a frequent flyer myself, I kept a mental tally of elected government officials who sat in the ‘economy’ section of flights and those who had the audacity to fly first class at the expense of taxpayers … so, now, the Trump team’s flagrant misuse of taxpayer funds for private-jet travel is more than infuriating. Price (who was once a US Senator) should know better, perhaps he thinks he no longer has constituents watching him or maybe he just wants to keep pace with Sec Mnuchin (or Trump’s stable of billionaires). 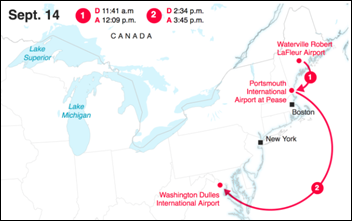 My memory of Sen John McCain waiting patiently in line at BWI with hundreds of other travelers following the lifting of flight restrictions shortly after 9/11 is vivid. Maybe Price, and others on Trump’s team, will recognize that indeed, taxpayers ARE watching and follow previous administrations’ travel behavior, John McCain and/or other fiscally responsible Republican officials. The voters are the ones accountable for this. If anyone thought Mr. MultipleBankruptcies was going to run a fiscally responsible cabinet, it’s their own fault. Amazing how many voting age people could be so naive just because they didn’t want a shrill voiced woman as president. Why does the CEO of the #7 market share ambulatory EMR even get an audience with the Secretary of HHS? Are Zane and Judy chopped liver? – The company never intended for these clauses to apply to this cybersecurity incident. – Because of consumer concern, the company clarified that those clauses do not apply to this cybersecurity incident or to the complimentary TrustedID Premier offering.